Today rally fans all over the world are in collective celebration as the long anticipated DiRT3 finally hit store shelves this morning. Well I have a bit of a confession to make, I have been playing DiRT3 since the 19th! Try not to be too upset with me though. It was all for you. I have been putting time into DiRT3 to see if this game is truly worth your hard earned $59.99! So continue on for my brutally honest review of the high points and low points of the latest edition of the DiRT franchise. If you want to skip to the conclusion just scroll all the way down to the “VERDICT” below. DiRT3 is a lot like DiRT2 but with much more packed inside of it. You still get all the rally racing action you can handle as well as truck racing and buggies. Also, YouTube celebrity and professional hoon Ken Block remains the poster boy of the series armed with his 2011 Ford Fiesta gymkhana car as well as his Ford Focus WRC car. You also still get to travel the world in the “DiRT Tour” and participate in several different rally-based racing disciplines. What’s new this time around is the addition of a Drift Challenge mode and the highly anticipated Gymkhana challenge mode. The first thing you will notice about the game is the stunning visuals. Our review copy was for Xbox 360 and it really looked like Codemasters’ “EGO” engine was taking full advantage of the 360’s graphical capabilities. So, if you were worried about how the game will look you can put those concerns to rest right now because DiRT3 has absolutely beautiful visuals, especially with the weather effects. The licensed cars look great, are very detailed, and have nicely designed liveries. Some of the car liveries you will know but there are many that were created just for the game and they had me thinking about all types of real world sponsorship possibilities. They look that good! The scenery of the race courses are magnificent as well. I don’t travel much so I can’t speak too much to the accuracy of the international levels such as Kenya and Finland but they look so real that I am convinced they sent out location teams all over the world to create the courses true to life as possible. They also did an amazing creation of the LA Colosseum (the scene of last year’s summer X Games). While the rally cross course layout is not the same that was used in the X Games it almostdoes not matter. Almost is the key word though but I will have more on that later. Anyhow, no matter what the course, real or fictional it all looks amazing and truly does add to the experience. What really drives it all home is the weather effects. There is snow, rain, mud, water, morning, and night driving and each of those add a real visceral effect to the driving experience and each weather condition has a real impact on the car’s handling! The most important game-play aspect of any racing game is how the cars feel when it comes to physics and handling. DiRT3 is not unlike other EGO engine based games like DiRT2 or F1 2010 whereas the handling of the cars fall somewhere in-between arcade style and racing sim. If the only racing games you have ever played are Forza Motorsport and Gran Turismo then you will have a somewhat steep learning curve when it comes to getting used to the way the cars handle in DiRT3. Because you are driving rally cars and off road trucks you need to be aware of how bouncy things can get which will really throw you for a loop when it comes to negotiating turns on bumpy dirt terrain or snow. To help take the edge off while trying to figure things out DiRT3 has a “casual” driving mode in which most of the driving assists are turned on and will keep you from spinning out every 10 feet if you were to start things off in advanced mode right away. Once you are used to things you can fine tune things a bit more by adjusting parameters like gear ratio, downforce, suspension, ride height, differential, and brake bias. However, unlike hard-core sim games like Gran Turismo or Foza the adjustments are not highly incremental. Each parameter is simplified so that everyone can understand what they are doing when they make adjustments. Also for further clarification you can click on a parameter for a voice-over explanation of how that parameter will change the way the car handles. When reviewing the game I played with both the Xbox 360 controller and the Xbox 360 steering wheel on our Playseat rig and while the fun factor was increased a bit while playing with the wheel; I have to say that the handling felt a little more precise when using the controller. Although there is a whole separate menu for making adjustments to the wheel for a better feel, however there isn’t much explanation on what steering wheel parameter does what when making adjustments so if you plan on using the wheel be prepared to do some google research. DiRT3 has several racing modes available: Rally, Rally Cross, Land Rush (trucks), Trail Blazer, Head 2 Head, Drift Challenge, and Gymkhana Challenge. The last two being the newest additions to the DiRT franchise. Unfortunately, those are also the sources of one of the few gripes I have with the game. See, all the other modes are like any other type of racing in which you are up against the clock or the other cars on the course but the Drift and Gymkhana modes are points based. The object of these modes is to drift or do gymkhana “tricks” to earn as many points as you can within a certain time limit. There are points thresholds for bronze, silver, gold, and platinum medals. To “pass” one of these events you need to pass the bronze level at the least. In Drift mode you are put on a point a-to-b-to-a course where you must drift as much as you can along the way and in Gymkhana mode you are put in an arena-type setting with gymkhana obstacles to do tricks with. On the surface with no “objectives” these modes are a blast to play, especially the Gymkhana mode but when it comes to advancing in the “DiRT Tour” mode there are some issues. My problem with these modes is that the thresholds for the points given the time a lotted seems unbalanced which makes takes some of the fun out of these modes and makes them frustrating when you are trying to do more than just “pass” with a bronze medal. There were some instances where it took a massive effort and multiple tries just to earn a sliver medal in both Drift and Gymkhana modes. After having so much fun with the other modes it hurt the experience a bit to have to deal with the sudden rise in difficulty of these new modes. It would be more understandable if the points thresholds were different depending on what driving assist mode you were in (Casual, Intermediate, or Advanced) but it is the same no matter what. So casual players who are just looking to play through the game and have fun will have a bit of a surprise when it comes to these new modes. If the goal is simply to make it to the next event by earning a bronze then this issue isn’t as prevalent but it is still there. Earning a bronze will not always be a walk in the park! I would like to see a patch to address this issue in the future some time. However even if there is not a patch this issue is far from a deal breaker but is definitely something that should be noted. 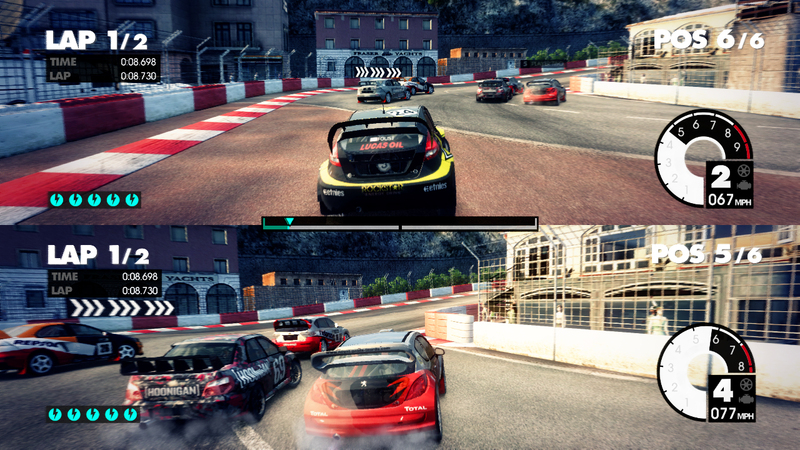 DiRT3 provides several mutli-player options. You can do a system-link, split screen, or online multi-player. In either of those modes you have the choice of doing a “pro-tour” which are ranked races/matches to earn respect and move up the online leaderboards or you can do “Jam Session” where you can line up a series of events with your own rules purely for fun’s sake. I will tell you right now that Jam Session is one of the best online multi-player experiences I’ve ever had! All the modes in single player are there for you in Jam Session but with the new modes like Gymkhana you can change up the rules. Instead of just earning points by doing tricks there is an “invasion” mode where you smash through as many “alien robots” as possible. There is also an “infection” mode which is basically car-tag. The “infected” car must hunt down non-infected car and pass on the disease by smashing into them! One of my personal favorites is a “capture the flag” type mode in which you grab a flag and try to make it to the goal. However, if you get hit by another player they steal the flag from you! It is beyond awesome! You would be hard pressed to not have fun in any of the multi-player modes. A new feature of DiRT3 that I think should be noted is the YouTube highlight feature. This feature allows players to upload highlights from races and other events to YouTube all within the game. It is pretty cool in theory but in practice it is a bit tricky to use and it can take up to several hours before your video will show up on your YouTube channel. However, remember that this is the first game to ever include such a feature. So, any small hicups can easily be forgiven. 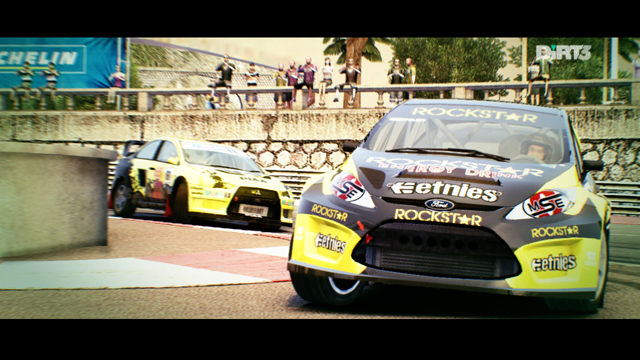 Look forward to a ton of DiRT3 videos hitting the YouTube airwaves soon! DiRT3 is a solid game that delivers on pretty much everything a rally fan would want from a rally racing game. 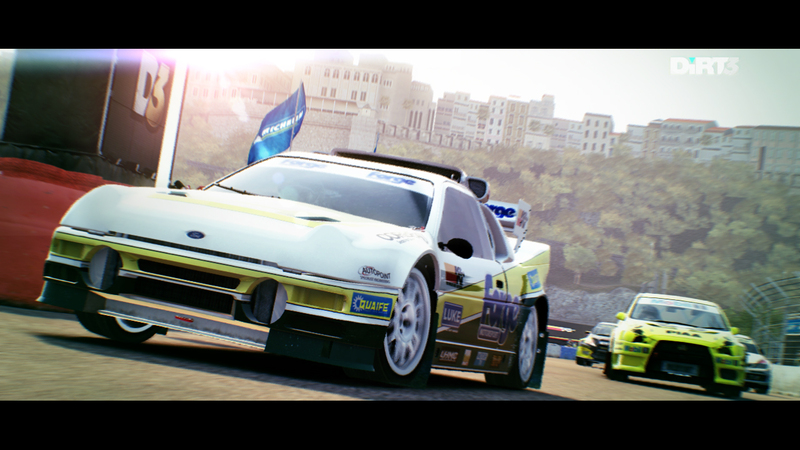 The cars rock, the graphics are amazing, mutli-player is fun, and the overall experience is very rewarding. 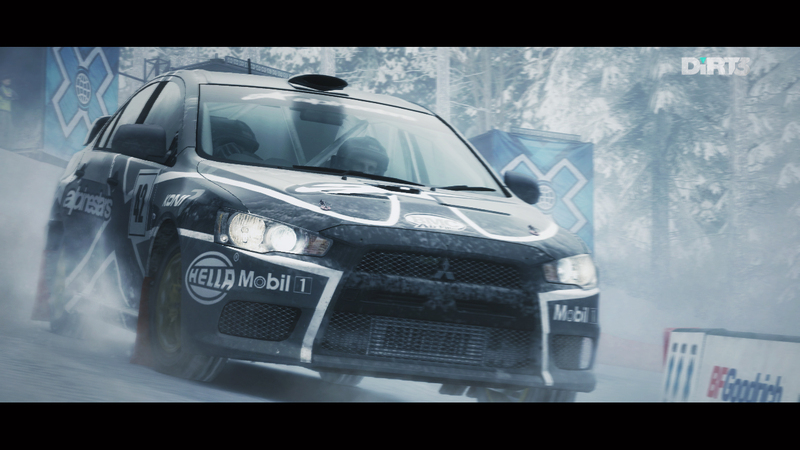 Despite a few shortcomings, DiRT3 is definitely worth the asking price. I say it is a BUY all the way!